Bonhams, Artcurial and RM Auctions sold 21 cars for over a million dollars at the annual Paris sales during Rétromobile classic car week. Classic car sales during the Rétromobile week in Paris in early February are traditionally the first major collectors automobile auctions in Europe. In 2014, RM Auctions, Bonhams, and Artcurial Motorcars sold 21 cars for more than a million dollars each. Sports and racing cars traditionally feature strongly at Rétromobile and were similarly strongly represented at the classic car auctions. 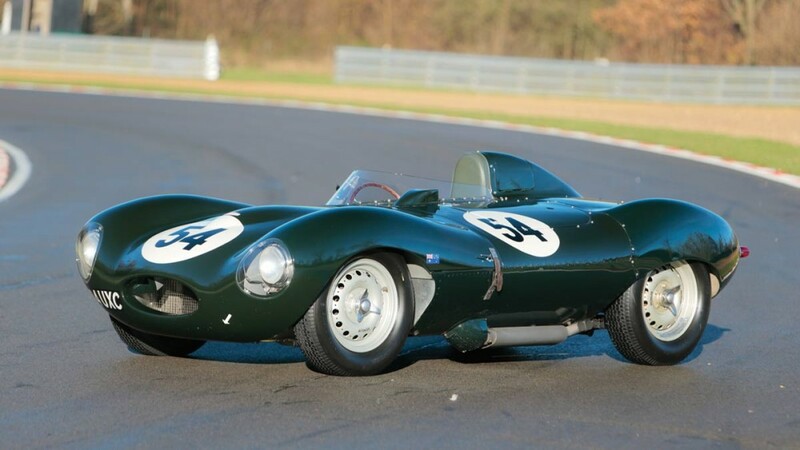 RM Auctions, which had its first sale in Paris and France in 2014, achieved the highest price selling a 1955 Jaguar D-Type racer for just less than $5 million. Artcurial achieved $3.5 million (post auction) for a 1953 Ferrari 166 MM/53 Barquette Oblin – the second highest price paid in Paris in 2014. Bonham’s best result was also for a Ferrari – just less than $3 million for a 1968 Ferrari 275 GTB/4 Berlinetta. Surprisingly, only three of the top 20 cars were Ferraris – several other Ferraris attracted bids over a million but failed to clear the reserves. The following cars sold for more than a million dollars at the respective auctions of RM Auctions, Bonhams, and Artcurial during the first week of February 2014 in Paris. Results include buyer’s premium and compulsory taxes and are supplied by the respective auction houses. All sales were in euro – dollar conversion rates may slightly differ. RM Auctions made a successful Paris (and France) debut by achieving the highest result of the week when a 1955 Jaguar D-Type sold for €3,696,000 ($4,988,000) – a new record for a D-Type at public auction. RM Auctions second highest result was also a racing car and a model record when €2,352,000 ($3,175,000) was paid for a 1982 Porsche 956 Group C Sports-Prototype. 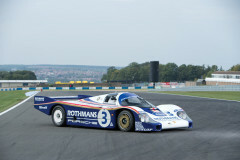 This car was the third-placed car when Porsche 956s achieved the 1-2-3 at Le Mans 1982. RM Auction achieved €17.7 million at the Paris sale on 53 lots offered with a sell-through rate of 80%. Six cars exceeded a million dollars while a further four highest bids exceeded the million mark but not the reserve prices. An interesting development at Scottsdale 2014 was the exorbitant prices paid for barn finds. This trend continued in Paris when RM Auctions sold a 1971 Mercedes-Benz 600 ‘Six-Door’ Pullman Landaulet in original but very rough condition for €537,600 ($725,500) – the pre-sale estimate was €80-120,000. Mercedes built only 27 six-door 600 Pullman Landaulets. Bonhams ’ Les Grandes Marques in the Grand Palais sale in Paris grossed €17 million from around 150 lots on offer with five cars achieving over a million dollars each. Bonham’s top result was for a 1968 Ferrari 275 GTB/4 Berlinetta that sold for €2,225,000 ($2,993,640) – a new auction record for the model. A 1935 Mercedes-Benz 500 K Cabriolet A had a highest bid of €2,185,000 but failed to clear the reserve. Bonhams also did well from racing cars. A 1929 Bugatti Type 35B sold for €1,610,000 ($2,2 million) and a 1947 Delage D6 3-litre Competition car for €1,100,000 ($1,475,000). A 1984 Ferrari F1 racing car used by Michele Alboreto sold for €483,000. Artcurial achieved a highest bid of only €300,000 a day later for a 1985 Ferrari F1 driven by Stefan Johansson. However, the biggest surprise of the top results at Bonhams where probably the two Aston Martin models clearing the million-dollar mark. The 1962 Aston Martin DB4 GT that sold for €1,184,500 ($1,631,000) had a presale estimate of only €580,000 – €680,000. The highest bid at the Artcurial sales was €2.5 million for a 1953 Ferrari 166 MM/53 Barquette Oblin that remained unsold. 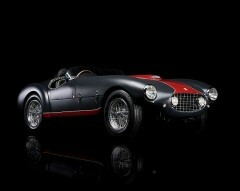 It was sold after the auction ended for €2,550,000. Artcurial’s highest result achieved during the auction was just below $3 million for a 1931 Bentley 8 Liter Coupé. A further four pre-Second World War cars sold for over a million dollars each. On the Solo Alfa day, a 1965 Alfa Romeo Giulia TZ Coupé was the only car selling for more than a million dollars. The previous day, Artcurial achieved 900,000 for a 1929 Alfa Romeo 6C racer.